You can enter text easily using the keyboard. For instance, it may take a long time to enter your keywords without a keyboard, lets say, when you are searching a show on Netflix. You can use Siri to search and find shows etc. You can use touch gestures to navigate and control, fast forward , pause etc. Make sure that your Apple TV and your iOS are connected to the same Wi-Fi internet connection. You will see your Apple TV. 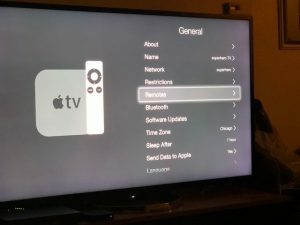 If you do not see it, make sure your iPhone or iPad is on the same Wi-Fi connection as your Apple TV. Now tap your Apple TV: my Apple TV is superhero TV. You will be shown a four digit number. You need to enter this number on your Apple TV in order to pair your Apple TV and iOS device. You will see your device (under the iOS Remotes section). Select your device add. (note that if you had previously paired devices, you can unpair them here also). Now you need to enter the passcode that is displayed on your iPad or iPhone and press Done. Now your device is paired with your Apple TV. iOS 11 (and later) lets you control your Apple TV from Control Center. 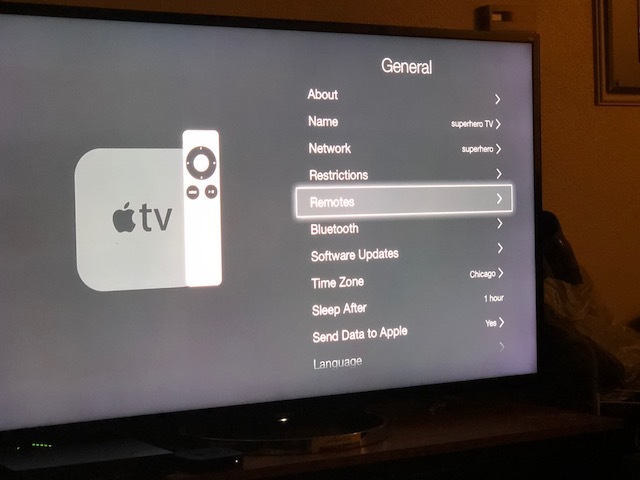 If you want to do this simply add Apple TV Remote to Control Center by going to Settings > Control Center > Customize Controls and then add Apple TV. Then open Control Center, and then tap Apple TV Remote. My Apple TV Remote doesn’t work, so that is why I download the Apple TV on my iPad but I can’t pair cause I can’t use the Apple TV Remote!!! !